The recent update is finally live, and there are so many new changes I don’t even know where to start! So for lack of better ideas, I decided to begin with PASS Time, in part because I know it’s not super popular, and I want to encourage people again to try it out. It’s really really not a bad mode, certainly it’s better than capture-the-flag, and the new update pushed a lot of very cool changes I can totally get behind. 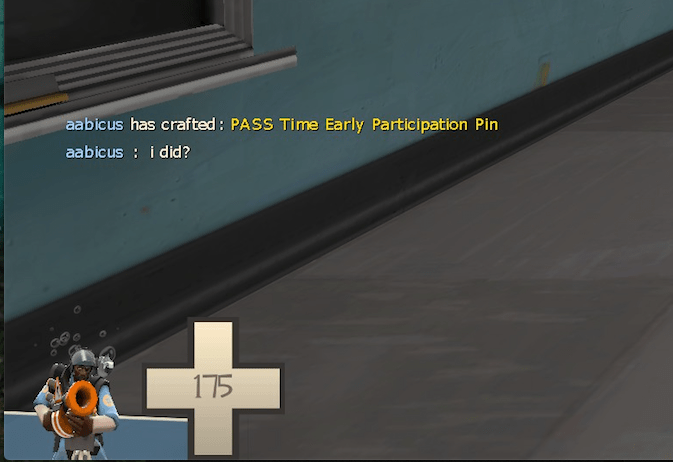 Congratulations to PASS Time for coming out of beta, and everyone who earned an early participation badge! One of the major problems affecting PASS Time was the extreme emphasis it placed on a single player. 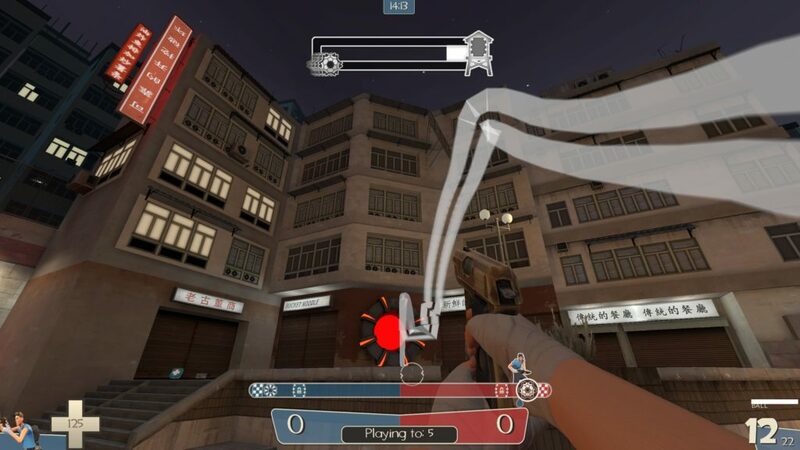 Whoever carries the jack has healing and momentum on their side, meaning that in lower-level play it can be common for said player to behave pretty independently from his teammates, only passing the ball if they die. The new update has done several things to mitigate this. Not only does the Jack carrier no longer regenerate health, he instead heals teammates around him passively, which was a great idea. Now there’s a very real benefit to working as a team and protecting the ball carrier. In addition, the jack carrier is marked for death if he strays too far from his team, which punishes lone wolves. Ball carriers run as fast as the fastest player near him, meaning there’s less reason to give the ball to the scout automatically. It’s now a much better strategy to give the ball to a tankier class that can survive the mini-crits. Honestly I think Heavy is a pretty good candidate, since a speed-running heavy flanked by health-regenerating scouts and soldiers is a serious force to be reckoned with. Speaking of class selection, I’m very impressed with how these changes “nerfed” scout by granting so many of his abilities to other players. As already mentioned, the liability of the ball carrier changes the group dynamic to an extreme degree, causing Scout’s frailty to hurt more and his speed to benefit himself less. Now that ball carriers gain the speed of their teammates, Scout becomes most useful as a periphery role while granting his speed boost to his teammates since other classes can leech his speed while carrying more powerful weapons and the speed boost doesn’t stack. Needless to say, I’m very impressed with how they solved scout’s dominance of the game mode, a problem that I considered unsolvable. I think a single scout babysitting the ball carrier is the new meta, meaning they somehow actually found a way to “nerf” scout in high-level play. The high emphasis on passing is another great addition to the game mode. As already mentioned, the healing and ‘marked-for-death’ mechanics encourage a team to continually pass the ball around. In case that isn’t enough, there’s now a meter that fills as a team completes passes while retaining possession of the ball, and filling that meter unlocks bonus goals that award more points. This simultaneously weakens the power of Engineers on defense, as teams can now bypass their sentry nests and score on new unlockable goals. And we got a new map while we’re at it! pass_district has the koth_king aesthetic, which can be a bit disorienting at first since no other map has attempted to use koth_king’s style. The presence of environmental hazards, specifically two sets of trains in the subway, reinforces the fluid nature of the map, which also attempts to make the most out of the new “bonus unlockable goals” mechanic. I notice that the map uses the “throw the ball into the hole to score” system, unlike the original map Warehouse which requires you to run the ball in. I guess they’re trying to give each map more of an identity. I wish I could say more, but with the new Quickplay system broken I can’t get into any decent matches, so I’ll follow this article up with another focusing on pass_district once things calm down a bit with the new matchmaking systems. Also I have no idea how to get that achievement, and as of this writing, nobody else does either. All in all, they actually increased the skill ceiling and depth of the game mode while adding tons of teamwork elements and a new third map! If you didn’t like PASS Time before, this is the chance to try it again, because it has never been better. Previous Previous post: Meet Your Match Weapon Rebalances!